2. 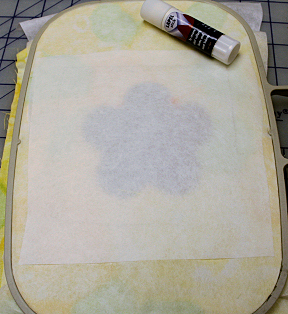 Hoop one rectangle of tear away stabilizer and one rectangle fabric just as you would for any embroidery. Embroider the first color. 3. Remove hoop from the machine and lay on a flat surface. Trim out the fabric only just inside of the stitched lines. 5. Carefully flip and slide the hoop back onto the machine. Check to be sure all is in place as desired. 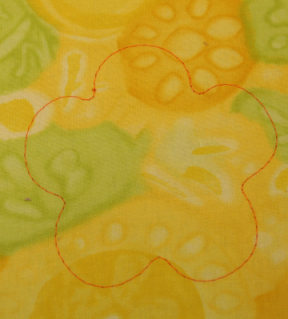 Embroider the second color. Remove hoop from the machine and lay on a flat surface. Carefully trim out the stabilizer from in front of the plastic. 6. 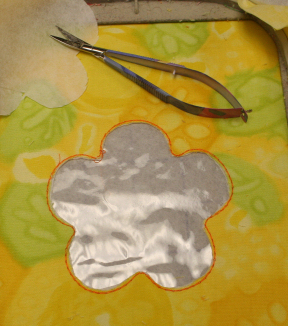 Carefully slide back onto the machine and embroider the third color. Remove hoop from the machine, flip over and lay on a flat surface. Slowly and carefully remove the stabilizer from the backside. Trim away any thread tails. 7. 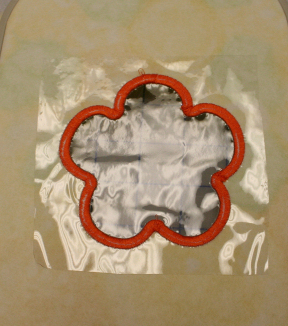 Now, put a little of the lapel stick adhesive in along the inner edges on the back side of the hoop. 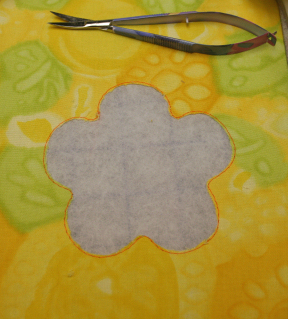 Place second fabric rectangle face up and press in place gently. Carefully slide the hoop back on the machine and check to make sure the fabric is in place underneath. Embroider the last color. 8. Remove the fabric layers from the hoop. Pink around leaving a neck at the opening. Insert the funnel into the neck. 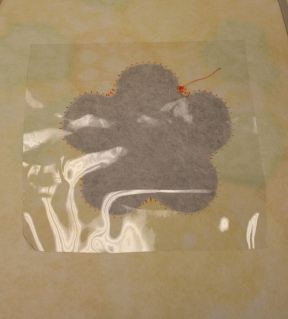 Add a little filler, then the buttons or trinkets, then fill approximately 3/4 full with filler. 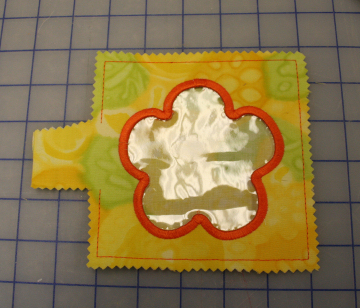 Sew the opening closed using your sewing machine. Pink the neck off evenly with the rest of the pinked edge. 9. 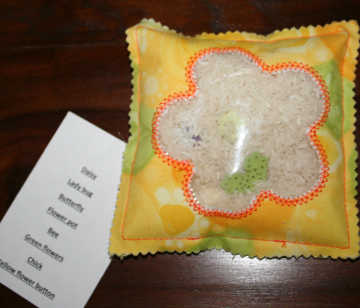 Make a list of what is inside to go with the bag and you have and I spy bag the will keep a child busy, at least for a little while. 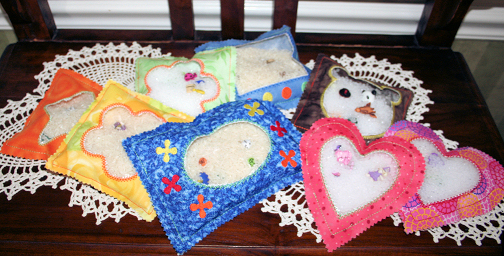 We made a ton of these little I spy bags some with varying themes and number of items so that there would be a few for any age group. My granddaughters tried them out and loved them so we think these will be a hit at VBS. Hope you have as much fun with these as we did. Love this idea. These are very cute! !